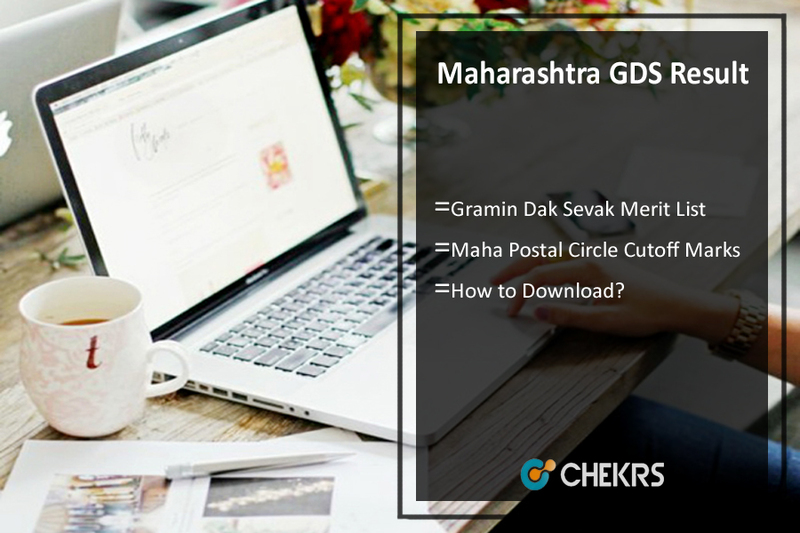 Maharashtra GDS Result 2019: All the eligible candidates who have filled the application form on or before the last date can check the Maharashtra Gramin Dak Sevak Result from here. The Maharashtra Post Office will not conduct the examination process for the Gramin Dak Sevak jobs. The candidate’s selection will be made as per the automatically generated Maha GDS Merit List as per the rule based on the candidate’s online submitted application form. Participated candidates can check the Maha GDS Selection List, Cutoff Marks details from here. (महाराष्ट्र जीडीएस परिणाम ): After completed the application form, the system has generated the reference number. The candidates can check the Maharashtra GDS Postal Result 2019 through their reference number. The Result will be based on the automatically generated Merit List. Applicants are informed that once results are declared and post is filled, it can be viewed in the results status which provides all details of the candidates applied for that post. Candidates can download the Maharashtra GDS Result 2019 through the given steps. Go to the Indian Postal circle Website. Click on the GDS Recruitment Result 2019 link. Check your name or Roll number in the Pdf. You can save or download the Result Pdf for other uses. The Maharashtra Post Office is responsible for recruits the well skilled and eligible candidates for the Gramin Dak Sevak Posts. The candidates who have completed their online application form with correct details can be selected for the GDS Vacancy. The Exam authority will not give weight age for higher educational qualification. Only marks obtained in 10th standard of approved Boards aggregated to the percentage of the accuracy of 4 decimals will be the criteria for finalizing the selection. Passing of all the subjects as per the respective approved board norms is mandatory for taking candidate into account for calculating the Maharashtra DS Final Merit List 2019. In case candidates get the same marks, the merit order would be taken as DOB(higher age as merit), ST female, SC female, OBC female, UR female, ST Male, SC Male, OBC male, UR male. The Maharashtra GDS Cutoff List 2019 prepare on the category basis. The cutoff list will be based on the total numbers of vacancies, Candidates Numbers, and more factors. After the announcement of the result, candidates can check the cutoff marks from here. The candidate will get an SMS on his provisional selection on the prescribed date after selection. Mere getting SMS or any other communication on selection will not entitle the candidate to claim for regular selection/appointment. The Maharashtra Postal Circle Selection List 2019/appointment based on satisfactory completion of verification and genuineness of all educational & other documents produced by the candidates by the concerned authorities. In the case of any query or review about Maharashtra GDS Postal Result 2019, you can place your valuable comment in the commenting section below and we will get in touch with you shortly.